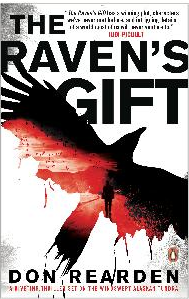 Don Rearden has won a Rasmuson Project Award grant of $7,500 to turn his novel, The Raven’s Gift, into a screenplay. Rearden says he painstakingly filled out paperwork for a handful of applications and survived years of rejection before he finally won the Rasmuson grant. 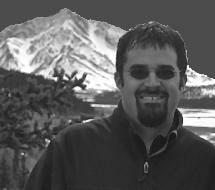 Rearden grew up in Bethel and is now an Associate Professor at University of Alaska Anchorage. His book, The Raven’s Gift, published in the U.S. in 2013, is a post-apocalyptic love story set in Bethel and the Y-K Delta region. It was a 2013 Washington Post Notable book and has won several awards including 2012 Alaska Professional communications novel of the year. Rearden says he passed on a Hollywood offer to buy the rights to make his book into film because he wanted to make sure the film was made at home. RELATED: Talk of Alaska – “The Raven’s Gift” – with author Don Rearden. Rearden says he encourages other artists to not let rejection get them down. The Rasmuson grant puts him one step closer to sharing the culture and landscape he loves through film, Rearden says, and he hopes it will inspire others from the region to use the arts to highlight the important lessons that the Yup’ik Culture and people have to share with the world. Rearden is one of about two-dozen Alaskans who Rasmuson awarded grants for projects in 2014. Rasmuson Foundation was created in May 1955. This is the eleventh year of the Individual Artist Awards program. The program has awarded 338 grants, totaling more than $2.7 million, directly to Alaska artists.